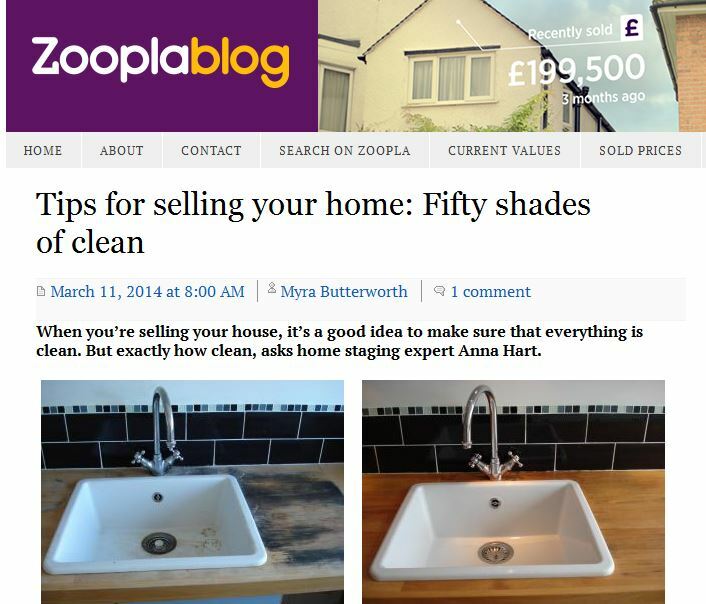 My latest post for top property portal Zoopla is live, and this one is called Fifty Shades of Clean. The intro is printed below and you can read the full article by clicking the link at the bottom. Enjoy! Think about the homes of friends and family that you visit. Do you recognise any of these characters? • Lazy Student: Most things wait around six times longer than in other houses to be cleaned, if at all – think bed linen, floors and bathrooms. Just like we all have different tastes in houses, in clothes and in music, we also have very different ideas as to what ‘clean’ really means. There really are at least 50 Shades of Clean.